Casual lounge shirt with racing stripes on the front and detailed embroidery on the back. 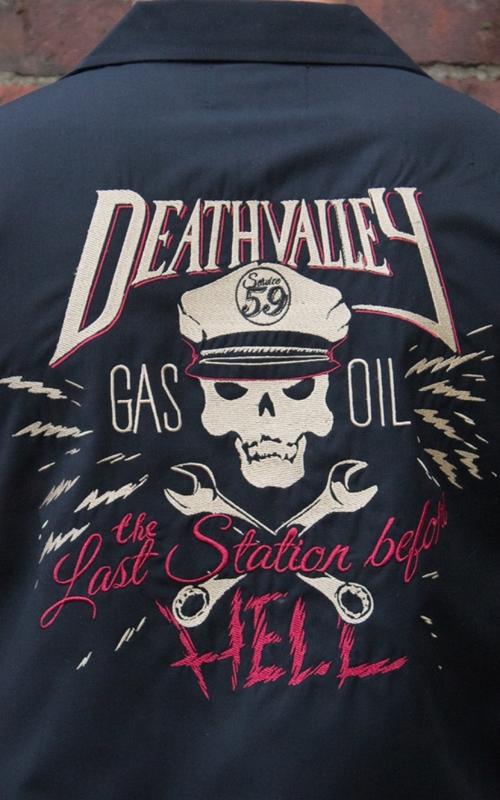 If you dare to wear the devilish truth of this embroidery on your body, start your journey through the feared Death Valley. But we can put you at ease: This high quality shirt is also available without any life-threatening missions. Devilish gas station embroidery with skull and wrenches on a lounge shirt. 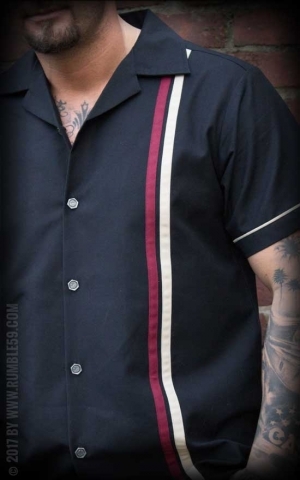 The Rumble59 lounge shirt has racing stripes in red and beige on the left front. 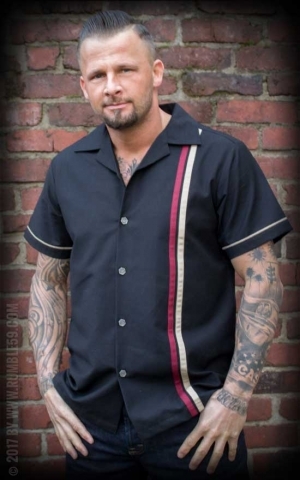 The back convinces with its big and high-quality embroidery, which is perfectly aligned to the racing stripes. 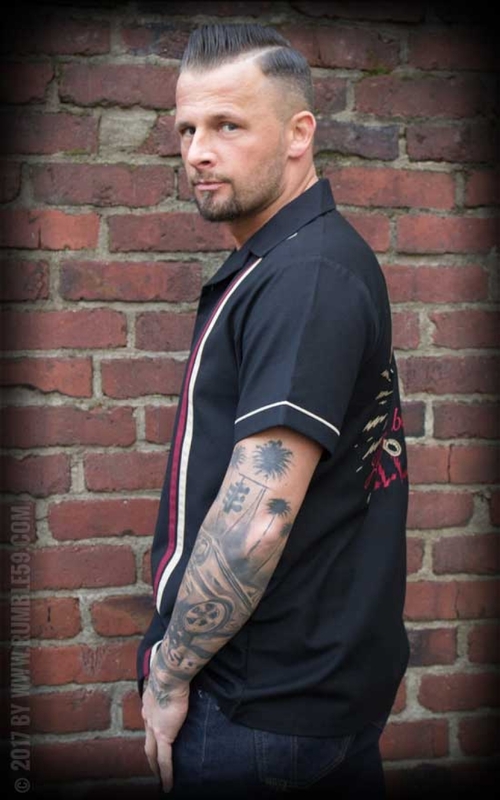 Cool metal buttons in form of a hexagon screw with an embossed logo are completing this shirt. The right shirt for gearheads and racers as well as dudes and barflies! 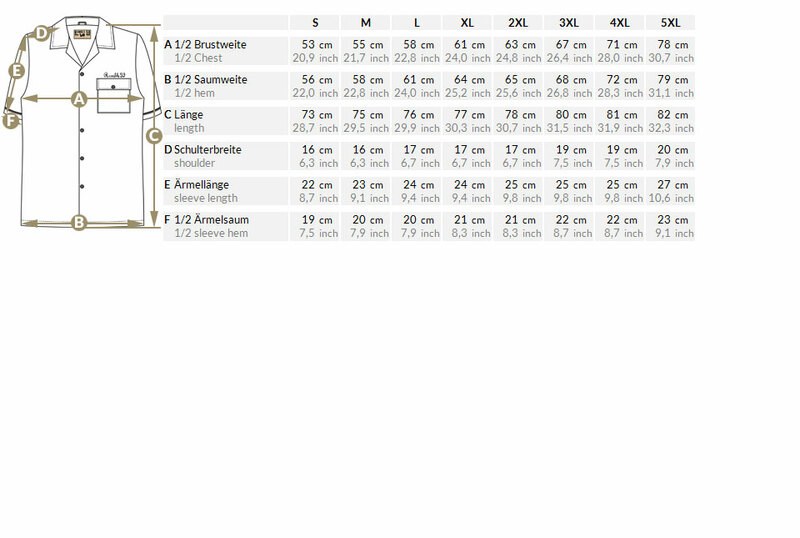 Info: For the perfect size please take a look at the size chart! Rumble59 offers a big range of casual shirts for lovers of rock'n'roll style! 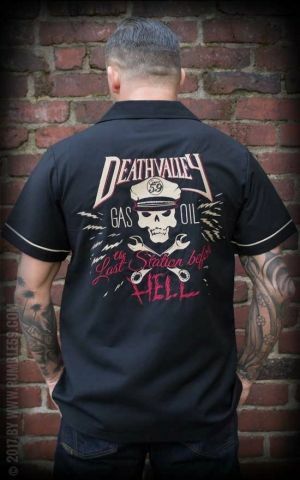 The vintage shirt "Death Valley" will thrill you with its detailed embroidery and cool racer look. Fällt sehr gut, Top verarbeitet. Größte passt und ist angenehm zum Tragen. Je superbe, produit au top aussi bien coté qualité que taille !!! Bravo !! !